Marrakech - The UN Convention on the Rights of the Child issued its report on Moroccan education on 19 September. The Committee welcomed the increase in school enrollment and the efforts to increase gender equality at the primary level and the increased public resources allocated to the education sector. 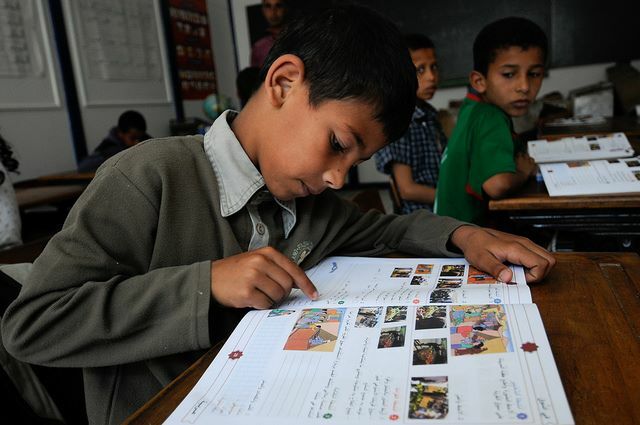 Marrakech – The UN Convention on the Rights of the Child issued its report on Moroccan education on 19 September. The Committee welcomed the increase in school enrollment and the efforts to increase gender equality at the primary level and the increased public resources allocated to the education sector. However, it highlighted a number of remaining challenges. It noted that a significant number of rural children, children with disabilities, children put to work, and children from poor households are deprived of education and schooling despite government regulations. The Committee noted that girls still face difficulties in accessing secondary education. It stated that education services are badly managed, and only two thirds of resources that are earmarked to improve the education are actually used. The report blamed this on a lack of transparency. While private education is developing rapidly, especially at the primary level, it lacks the necessary supervision regarding the conditions of enrolment and the quality of education. This has resulted in unequal access to education, as well as teachers engaging in private lessons in public schools, as noted recently by the Head of Government Abdelilah Benkirane. Teachers are also giving priority to their work in private schools at the expense of public schools. The Committee noted that the quality of education remains low and the rate of school dropouts is high. It also noted that preschool education remains underdeveloped and virtually non-existent in rural areas. The Committee made a number of recommendations, including strengthening government efforts to ensure that all children are enrolled in primary and secondary education. It called for more efficient utilization and control of financial resources allocated to the education system. In addition, control of the rapidly growing private education sector needs to be imposed so that public sector teachers are not poached by the private sector. The Committee called on the Moroccan government to improve the quality of education and teacher training, as well as vocational training so that children, young people and educational dropouts develop job-relevant skills. It called for the development of early childhood care and education and for the Moroccan government to allocate sufficient resources to these causes. The problem of public sector teachers also teaching in private schools is not unique to Morocco and occurs in developed countries as well. This issue stems from teachers’ low pay in the public sector; teachers with low salaries feel discouraged by a heavy work-load and inadequate remuneration. Therefore, societies need to place a far higher importance on the status of teachers and the value of education as a key part of social development. In a time of tight financial resources and increasing population, this can be difficult. King Mohammed VI has called for improvements in the way subjects are taught and for providing job-related training. Students should be able to question and consider subjects so that they understand them instead of learning by rote. However, the basics of writing, reading and arithmetic, if well taught, will place children in good position when they leave school to seek employment. Language-learning also benefits students of all ages, and expanding their linguistic ability and experience. Moroccan children in the public sector start learning French at eight years old, which is considered late by European standards. Moroccan students are now benefiting from different educational systems, including English curriculums, which need to be made more widely available. Students should not be limited to one educational system, namely the French model. Instead, they should be given the opportunity to take advantage of different educational curricula, such as, the American, Spanish and Belgian. These are becoming available in private schools and hopefully in time will be more widely available in the public sector.